Taco Tuesday! I hope you go get your weekly dose of tacos! 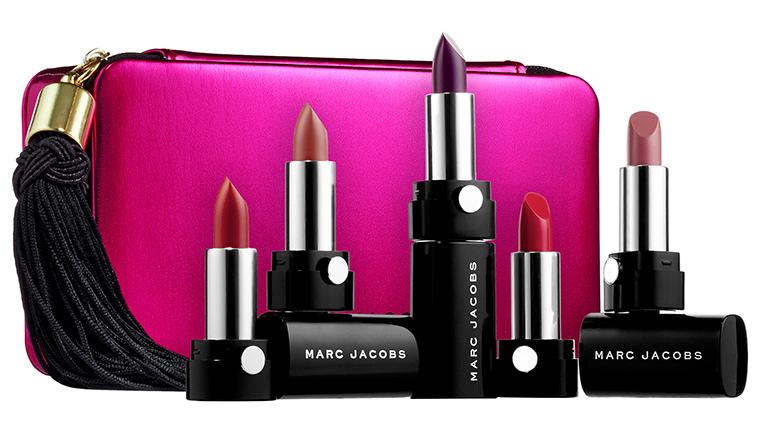 With the holidays pretty much here, all of our favorite brands are giving us their holiday collections, and today it is Marc Jacobs and this ridiculously cute bag with some amazing lippies! The whole set will cost you $49.00 and it is limited edition and it is only available at Sephora. Ok! So how freaking cute and adorable and elegant is this clutch?! I love!!! The lipsticks are also great, the shades are very Fall appropriate, but if I was to get this set it would solely be to get the clutch, wouldn’t you?! Both sets are so cute! I just recently ordered the Bite ones and I’m excited to try them out!